No one wants a visit from pests in their own home. We’re here to help and want to share with you 5 ways to insect proof your home from the outside in. These are all simple steps that can be taken by you, straight away. If you want a bug-free home, these are the first steps in getting there. You might not realise until closer inspection that sections of your doors may be unsealed with small cracks- enough space for insects to fit through. To keep insects from crawling under your door, you can install a sturdy steel or aluminum edge under the door, combined with a door sweep for even better protection. Choose nylon brush sweeps over vinyl or neoprene, as they offer the best protection against bugs. Remember these tips won’t work if your door is left open. You may want your house to fill with fresh air, particularly if there is a cool change on a hot day. To get the airflow, without the nasty insects pouring into your house, make sure you have screens on your windows and doors. Inspect your existing screens and you might find holes or tears. Choose a 20- mesh or finer screen to keep out most common household pests. 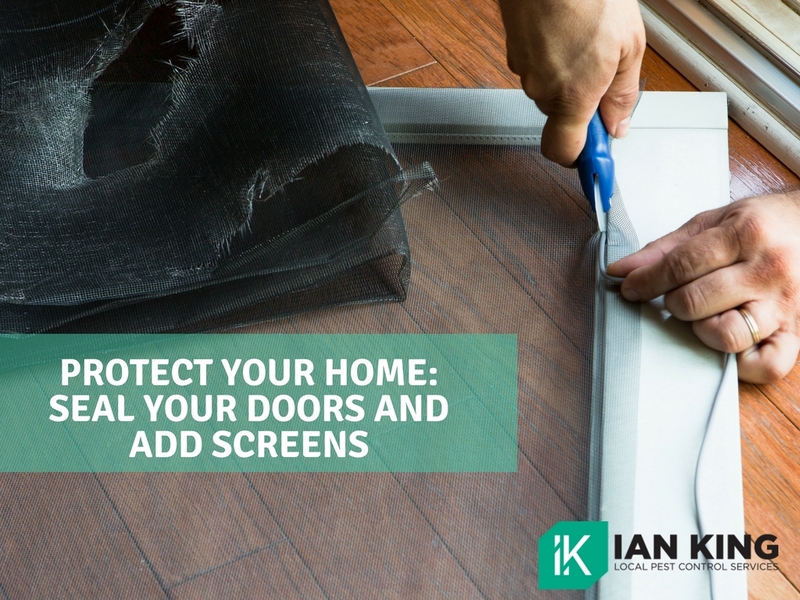 If there are holes in your existing screens, try using a scissors to carefully push the broken wires back into place, adding a coat of clear nail polish or household cement to seal the hole and prevent insect entry. You might be unaware of the holes and cracks your house has until you’re actively searching for them. You should be looking out for damaged or missing sections of siding, cracks in foundations, loose or crumbling brick and rotted wood. Repairing cracks on the exterior of your home is an important step if you wish for the insects to stay outside. To keep bugs out, use mortar or cement to patch foundations and masonry walls. Replace any damaged bricks or wood. Pay close attention to the roof line, where bees and wasps frequently build nests, you don’t want to discover this by being stung. Clutter in your home provides an easy breading ground for bugs, hidden by piles of paper or in packed cupboard shelves. If you live surrounded by piles of clothes or throw wet towels on the ground, you’re most likely sharing your room with nasty insects. Keep your house tidy and neat, and it will be easier to prevent bugs. Don’t have food waste in bins throughout the house, keep food rubbish in the kitchen bin. The bin should have a lid, and ideally be emptied each night. 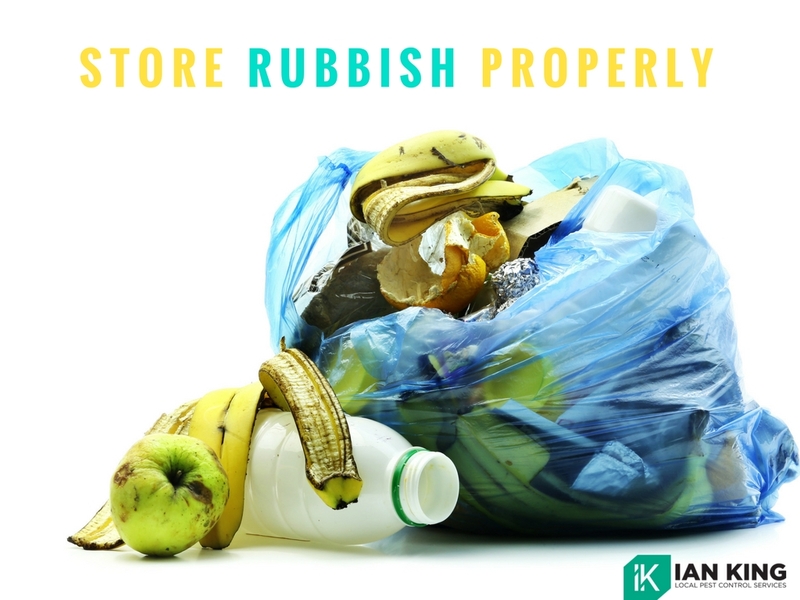 You should clean and sanitise interior and exterior bins regularly to limit the chances of attracting unwanted pests. If you feel that the pests in your home are already beyond your control, a professional local pest control and extermination services provider can solve your problem. Contact us to request a no-obligation quotation.